With the recent deep freeze many business and home owners are turning to decorative concrete when dealing with burst water lines that have ruined their carpet, wood, and other types of flooring. We are happy to work with you and your insurance company to provide you with a beautiful decorative concrete floor that will last for many years to come! 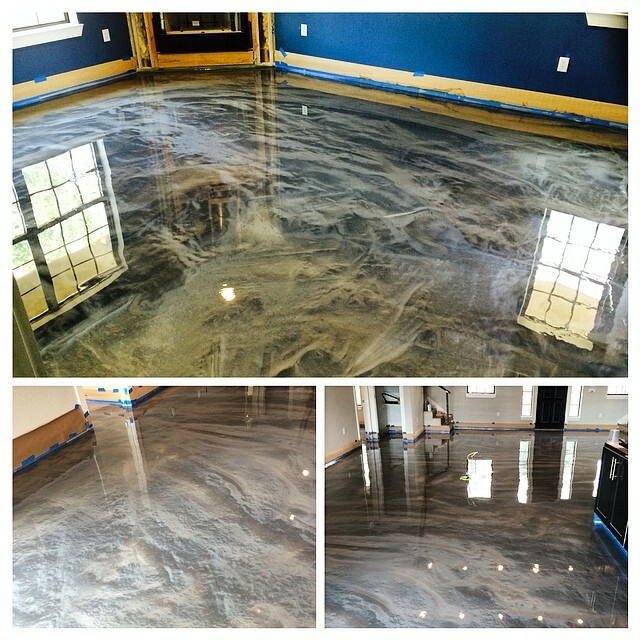 Be happy with your investment in knowing that your stained concrete floors are extremely durable, easy to maintain, cost effective, and a true work of art! 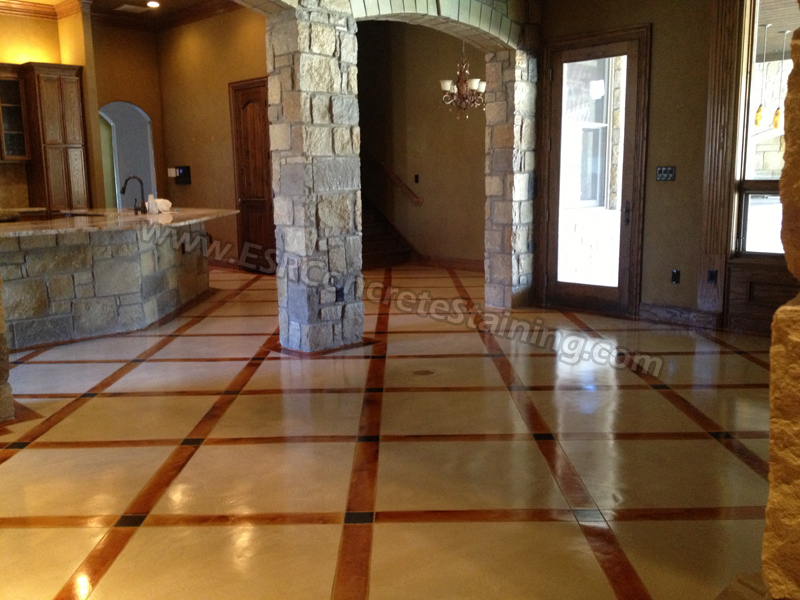 Give us a call at 972-296-2173 to arrange for a estimate for your decorative concrete floors! 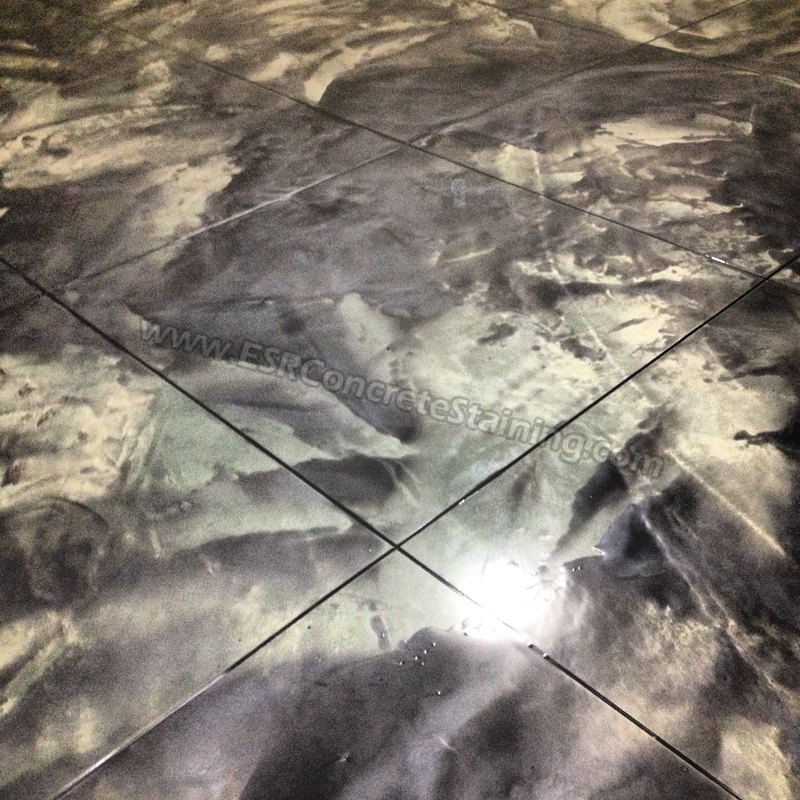 Decorative concrete floors have endless possibilities when it comes to matching the decor of your home or business. Beautiful flowing colors of natural earth tones that often resemble the look of marble floors can be achieved with acid staining. Acid stained concrete floors are very popular in homes, restaurants, commercial buildings, interior and exterior surfaces. 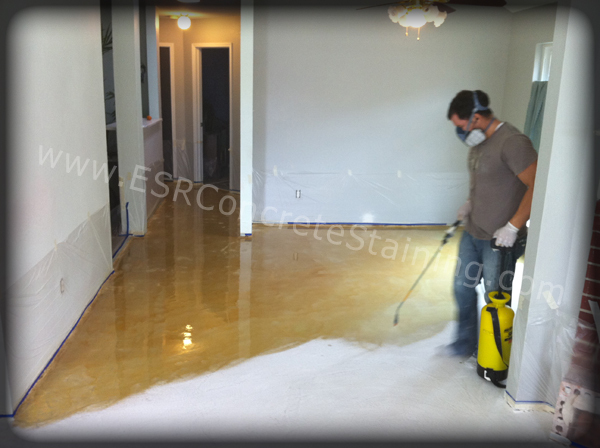 Existing concrete can be stained or a micro finish overlay system can be used to create a smooth floor covering imperfections in the concrete such as tack strip holes, ghosting from previous floors, glue swirls, and patched areas. 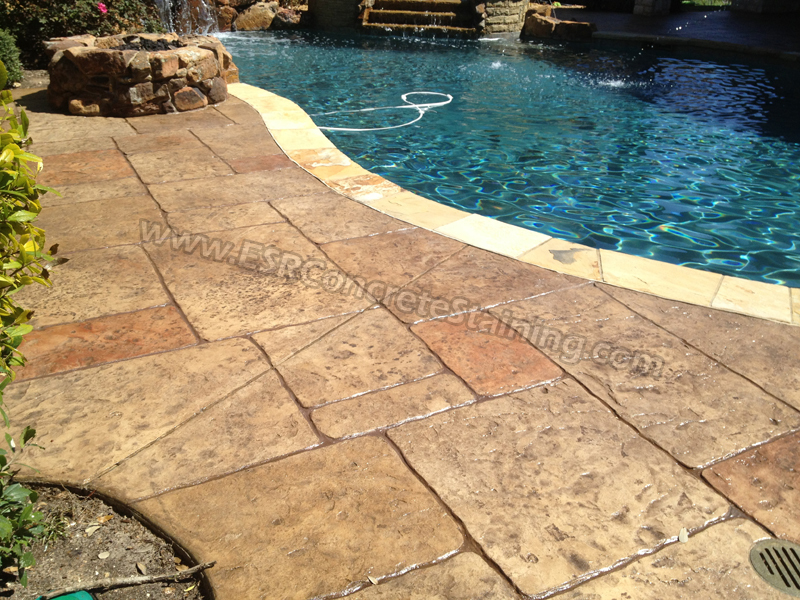 Our decorative concrete artists are ready to transform your floors into a work of art and your guests will be sure to take notice!